Buying the best laptop for video editing needs is not an easy task. Since heavy video editing software requires high-end specs and configuration, you need to spend higher on such laptops for video editing. However, that doesn’t mean you can’t find a sweet deal for the best video editing laptops under your budget. Here I have listed top 7 best laptops for video editing. Get the best bang for your bucks. Buy a video editing laptop that’s just perfect for your editing needs. With everything in this world turning digital, editing and compiling vast amounts of Ultra HD videos and multi-megabyte images is starting to become a job many of us have to handle. Simple HD videos are becoming mainstream, and 4K Ultra HD videos are surging in popularity which translates to a massive jump of data to be processed in real-time. Tackling such a high-quality raw footage indubitably becomes a tedious job that requires heavy video editing software (like Final Cut Pro, Premier Pro, Hitfilm, Lightworks) to be worked on and a powerful machine to handle their load. Therefore, picking and choosing the right desktop computer or the best laptop for video editing is an important question to be answered. Nowadays, laptops are capturing more interest than a desktop because of their portability. But, finding a suitable video editing laptop that meets your basic usage requirements under a certain budget is a tough job for an ordinary person. To cut your losses, we will recommend some of the top video editing laptops in this guide that would fit your needs and are debatably the best laptops for editing movies. Before we get into that, let’s have a look at the key configuration parts you are going to want to make sure your laptop offers you. If you are going to select the best laptop for video editing, there are certain configurations of any laptop that are very crucial to edit videos smoothly. Let’s take a look at the key configurations you should consider before buying a laptop for video editing. First thing first, video editing is not something you learn every day. So you should be concise about the selection of the video editing tool you are going to use. Every video editing software has a different user interface and accessibility of tools. Final Cut Pro is my personal favorite, but that doesn’t mean other video editing software are behind or offer less functionality. If you are like me, you’ll go for a video editing laptop running on Mac OS, because you can’t run Final Cut Pro on other OS like Windows running laptop. However, if you love the user interface of other video editing software like Adobe Premier Pro, Sony Vegas, etc. and these are the software you’ll be working on for video editing needs, you can opt for Windows OS based laptops for video editing as well. Windows based video editing laptops can’t run Final Cut Pro but Mac based video editing laptops can run Final Cut Pro as well as other video editing software like Adobe Premier Pro etc. So when it comes to OS, Mac based laptops for Video editing has an upper-hand. The CPU has become advanced from the early single core Intel Pentium to the modern multi-core Intel i5/ i7 models. The i5/i7-series CPUs are terrific for video editing because they push your editing software to run at top speed. This is crucial when it comes to rendering the final form of video. Without the fastest CPU running, this last step would be irritatingly slow. This is the top most problem I had faced before I switched to my favorite laptop for video editing. The other laptops I used for video editing were slow and sluggish when it comes to rendering speed. A competent GPU plays a vital role in an additional performance of a system. The graphics card handles the speed and performance of a computer while letting computer’s microprocessor to take care of other work. A graphics card has a chip for handling video calculations called Graphical Processor Unit, and that chip is microprocessor specialized. An efficient GPU pushes the computer to focus on its primary job and eventually run at full speed. Keeping the importance of GPU in mind, NVIDIA’s has just launched a new range of mobile Quadro GPUs (the M series) which serve the purpose perfectly. It is also important to have a larger RAM. A typical off-the-shelf computer might come with 4GB of RAM. But frankly speaking, this is not enough for editing a video with modern software. You need at least a minimum of 8GB, and 16GB is even better. Video editing tools use up RAM memory like crazy, and the more you have, the faster you will get the job done. Thankfully, RAM is cheap these days. A high-resolution screen can make a big difference in the quality of work you are going to do on a laptop. The reason being: a high-resolution screen size provides a larger timeline frame for video editing which ultimately results into better user experience. A 17-inch screen laptop fulfills this condition, but a large screen size laptop is noticeably much heavier and less portable. Fortunately, you can get a 15-inch screen laptop that offers an equivalent sharp display along with high-resolution providing you top-quality visuals in the limited screen space. A touchscreen laptop is another good choice to consider as modern day software are getting more and more touchscreen friendly. If a 17-inch laptop featuring a touchscreen and a high-resolution screen fits your budget, you should not mind carrying some extra weight around. Just go for it! We suggest looking for a laptop with at least 1TB of hard drive for more storage. However, a laptop with 256GB SSD if you need lesser space but faster performance. A USB 3.0 or a thunderbolt port is required to cope with modern day Ultra HD videos that occupy a large storage space. A Thunderbolt port provides the fastest possible connectivity for external storage, and the USB 3.0 is believed to be the second best choice in this regard. A USB 3.1 is a dual purpose connection which supports both USB 3.0 and Thunderbolt. Conclusively, the USB 3.1 provides a very reliable and stable connection and is a much-improved version of USB 2.0! 1 TB 7200RPM Hard Drive. 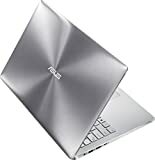 ASUS ROG G751JY-VS71(WX) is right now the most discussed video editing laptop in the market because of its dazzling specifications and a relatively moderate price. Under just $1100, ASUS ROG features everything a video editor can dream of. Though my favorite is listed on #2, the significant features it offers at a reasonable price is the reason why I have listed it on #1 in the list of best laptops for video editing. 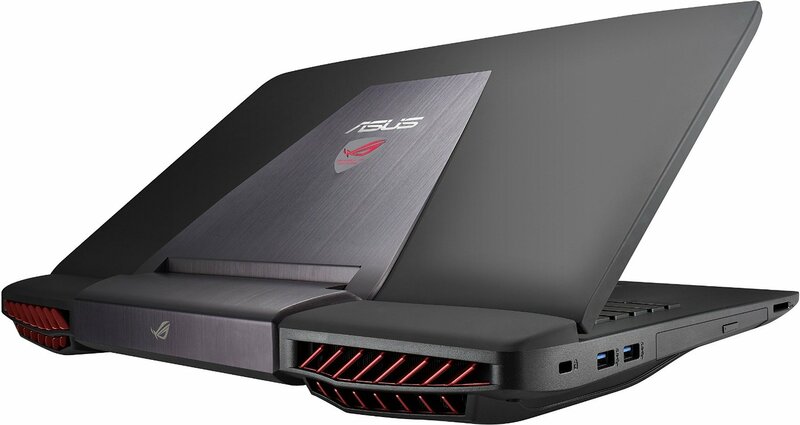 The ASUS ROG is equipped with a latest 2.6 GHz Intel i7 processor which can boost up to 3.6 GHz. New models come with Windows 10 pre-installed in them. A GeForce GTX 980M GPU has been installed on this machine. A GPU like this is no less than a beast for professional video editing. It comes with a 16GB of RAM which is enough for a laptop as of now. This 17.3 inches’ laptop comes with a display resolution of 1920 by 1080. ASUS has dramatically improved the feel of Super HD display. 1TB of HDD has been fixed in this model which is sufficient for storing a large amount of data. It has two USB 3.0 ports on its left side and a thunderbolt/display port on its right side. No ifs and’s or buts, ASUS ROG admittedly is a powerful machine for video editing needs. With such specifications, it can handily run any of the video editing software, and the USB ports are a cherry on top. See all specs and features. Click Here to Buy this Laptop for Video Editing! If you are not satisfied with the interface and working of Windows OS, then you can try making MacBook Pro your friend. And believe me, the recently released Apple MacBook Pro with touch bar is the real beast. Though costlier than any other laptops available on the market (at the time of writing), but it’s worth it. I’m a big fan of Apple’s products due to the value and service they offer. But at the same time, a big critic for their arbitrary pricing. MacBook Pro with touch bar is an absolute beauty. I’ll discuss its internal specs like CPU, GPU, etc. in a minute but what makes it so special about video editing is the touch bar. 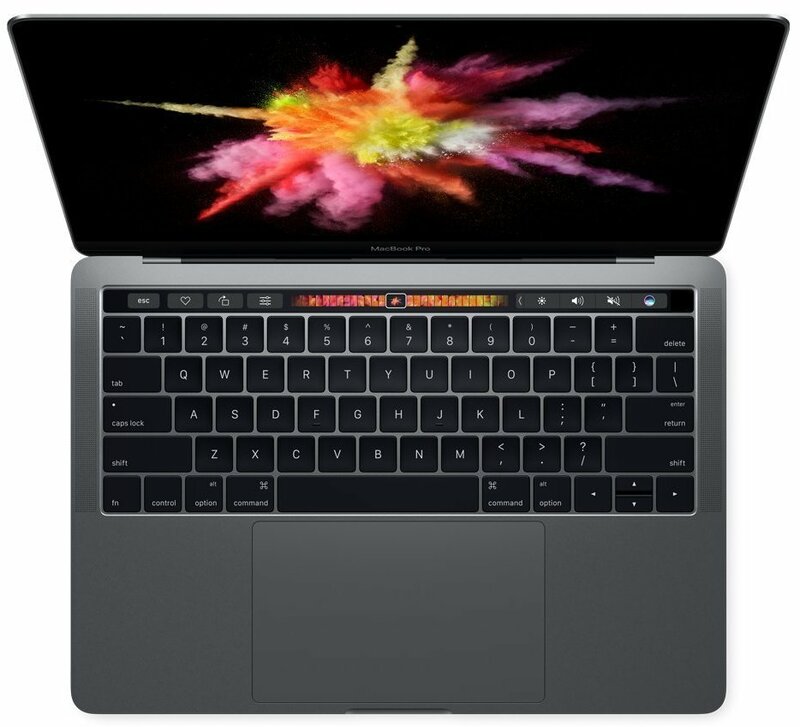 When it comes to video editing, swiping picture frames in the video timeline using touch bar is much quicker and better experience than what I was able to do using the trackpad or a mouse earlier. Having Mac OS X pre-installed, the latest model of MacBook Pro features a 6th generation quad-core Intel i7 processor. What else could a video editor wish for, if they have a processor like this in their MacBook? The GPU installed in this latest MacBook Pro is Intel Iris Pro. It comes with a 16GB of RAM which is outstanding because, with Apple’s OS, even 8GB of RAM is debatably faster when compared with an 8GB of RAM in Windows OS. Yes, you read it right! And these words are coming from my inner heart after using 2 edition of MacBook Air and MacBook Pro as well as multiple Windows OS-based laptops from leading laptop brands like Dell, HP, Asus, etc. Priced slightly below $2700, this MacBook Pro offers a 15.4-inch screen with Apple’s benchmark retina display. 512 GB of SSD hard-drive has been installed on this laptop. If you are switching from MacBook Air to MacBook Pro, you’ll feel bad because of reduced battery life by 1-2 hours. But again, the battery life differs on the software or program you are running and multiple other factors including graphics you have got. Needless to say, MacBook Pro with tough bar has retina HD display with better graphics than that of MacBook Air. That is great keeping in mind that you will consume a lot of battery while editing videos and you do not even have to worry about keeping your machine plugged-in all the time. Overall, the battery life of MacBook Pro is still good enough and better than other laptops for video editing. That is great keeping in mind that you will consume a lot of battery while editing videos and you do not even have to worry about keeping your machine plugged-in all the time. See all features and specs. 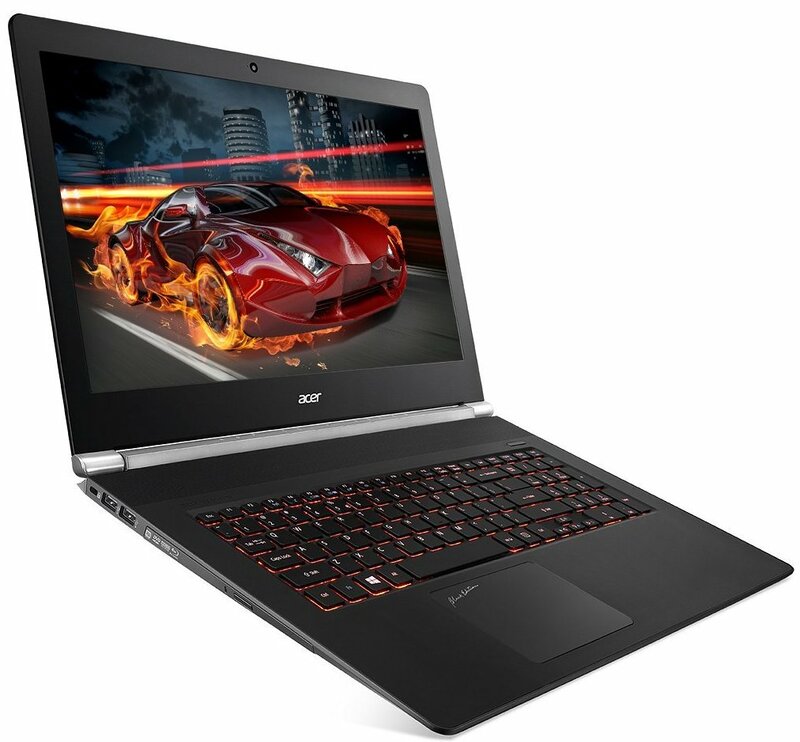 Acer’s Aspire V17 is also a participant of best video editing laptops because of its specs. It is available on the market for about $1300. To tackle the most demanding video-editing projects and movies, Acer Aspire V17 comes with an Intel Core i7-4710HQ 2.5 GHz Processor and a Windows 10 operating system pre-installed. Acer offers a NVIDIA GeForce GTX 860M GPU in this model. It has a 16GB of DDR3 RAM which is enough to run the latest video editing software smoothly. FHD 17.3-inch (1920 x 1080) display attracts the attention of wide-screen lovers. Acer Aspire V17 has a hybrid storage. It has a 1TB of 5400 rpm hard drive in addition to 256GB SSD which surely catches attention. It has two USB 3.0 and two USB 2.0 ports in it. All these qualities make it one of the best laptops for professional video editors in 2017. See all features and specs. Windows 8.1; Free upgrade to Windows 10 when available The battery life is based on testing using the Mobile Mark 2014 battery life benchmark test. (For more information about this benchmark test, visit www.bapco.com.) Test results should be used only to compare one product with another and are not a guarantee you will experience the same battery life. Battery life may be significantly less than the test results and varies depending on your product's configuration, software, usage, operating conditions, power management settings and other factors. 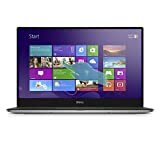 Maximum battery life will decrease with time and use.This product is not known to have defects and customers should be directed to Technical Support at 1-800-624-9896 or http://www.dell.com/support/incidents-online/us/en/19/contactus. Under $1100, this laptop can be the best pick for small-size laptop lovers. This 13.3-inch touchscreen laptop offers an ultra sharp infinity touch display and has a 10-finger multi-touch support. The company also claims that the model has an average battery life of 15 hours. 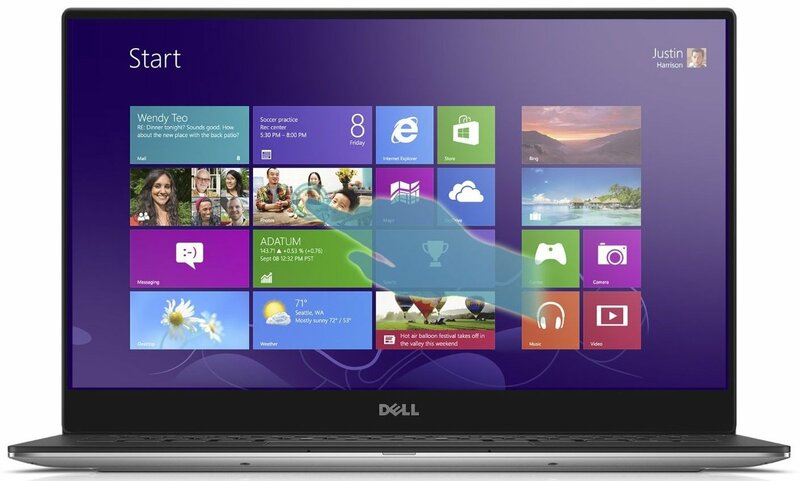 Dell XPS 13 has tremendous capabilities to do the video editing job, and it is a highly rated laptop. With Windows 8.1 (64-bit) operating system pre-installed, it features a 5th Generation Intel Core i5-5200U Processor which boosts up to 2.70GHz. Intel HD Graphics 5500 GPU has been chipped in this machine. It has a RAM of 8GB which is pretty reasonable but can be extended easily by paying few more bucks. 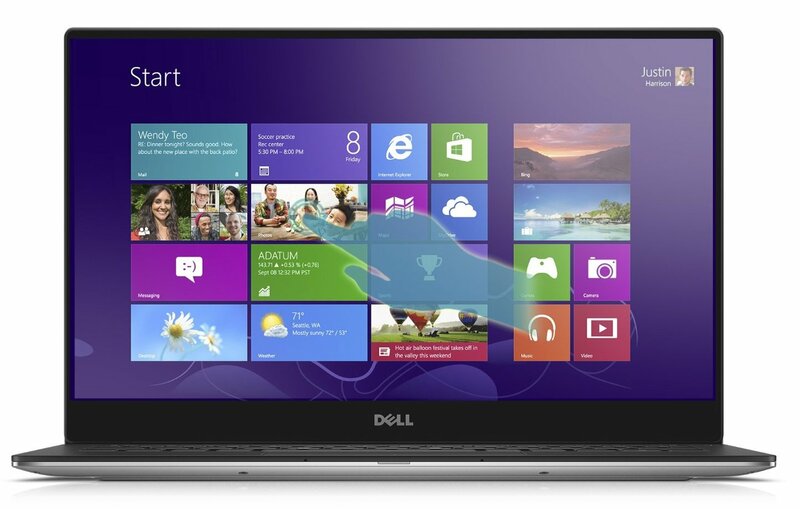 The Dell XPS 13 offers a 13.3 high resolution (3200 x 1800) screen to make the users able to see and examine each pixel in the display clearly. It has a 256GB of Solid State Drive. It has two USB 3.0 ports for high-speed file transfer. While some of you may find this small size laptop appealing, others may find it difficult to edit their favorite videos on such a small screen laptop. The choice is yours! See all features and specs. 1x Thunderbolt III (via USB Type­C), 1x Gen 2 USB 3.1 Type­C, 3x USB 3.0, 1x HDMI.Bluetooth 4.0, SDXC reader, 802.11ac Wi­Fi.Windows 10 (64 bit) Home. 1 ­year International Warranty with 1­ year Accidental Damage Protection. If the ultra bright screen is your primary concern, then ASUS ZenBook Pro matches your interest correctly. This, according to us, is one of the best laptops for editing films, music videos or personal movies. It costs around $1500. This classical professional Ultrabook comes with a quad-core lightning fast Intel i7 processor. It has a GTX 960M GPU installed in it. 16GB of RAM has been fitted in it for faster performance. 4K ultra high definition screen of 15.6 inches is perfect for editing and modifying high-resolution videos. It features a 512GB of SSD storage. It has one thunderbolt port and three USB 3.0 ports. The Thunderbolt port provides more bandwidth and blazing fast data transfer rate which is very helpful for editors. A video editor cannot ask for more on a laptop for video editing. This is no doubt one of the best laptops for professional video editing. See all specs and features. 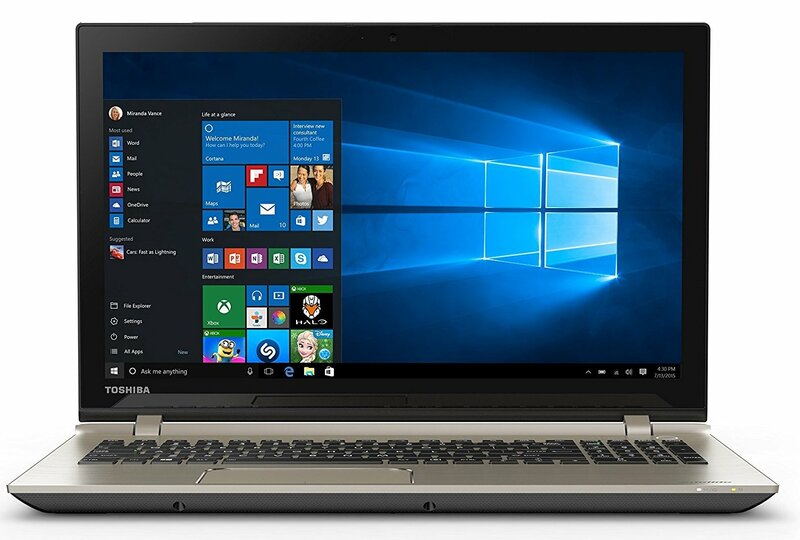 The Toshiba Satellite S55t-C5165 is also catching the attention of many video editors because of its price. Under just $1000, it offers all essential features of a modern-day laptop and runs heavy software smoothly. This laptop can also be the best pick for people on a tight budget especially students, who want to take their video editing hobby to the next level. Toshiba Satellite S55t-C5165 has an Intel i7-6700HQ 2.6 GHz processor. It has a dedicated NVIDIA GTX 950M graphic card. It comes with a 12GB of RAM which is enough for a high-end video editing software. FHD 15.6-inch screen makes it a good option for editing movies as it has a wider screen. It comes with 1TB of the hard drive along with 128GB of SSD to do the job as fast as possible. It has three USB 3.0 ports, but no Thunderbolt port has been offered in this model. Conclusively, best laptops for video editing under $1000, you will find a beautiful video editing laptop that will never let you down with your video editing hobby. See all specs and features. Looking for the best video editing laptops under $1300? MSI GE62 Apache Pro-014 is a good choice to consider. This laptop is known best for video games and professional video editing in 2017. This model offers a Core i7 6700HQ processor that runs at 2.6GHz and can boost up to 3.5GHz. The MSI GE62 uses NVIDIA Geforce GTX960M GPU which makes it one of the top laptop choices for video editing. It has a 16GB of RAM which is pretty good. It has a 15.6-inch Full HD Wide View Angle 1920 by 1080 display. 128GB SSD along with 1TB of hard-drive has been installed in this system. Only less hard-drive makes this pretty questionable in the eye of a buyer. It has two USB 3.0 ports installed in it. See all specs and features. Video editing is one of the most power-intensive works a laptop can do, and with the advancements in cutting-edge technologies, gigantic laptop companies are making sure they fit in enough power to them to make it a smooth sailing job. Owing to the high demand in these video editing laptops, the market has seen a rise in incredibly flexible options for powerful laptops for video editing, and you saw the list of the most sought after laptops available right now. Most of these are high-end laptops for video editing, so whichever option you choose is going to get the job done. The question rests with you as to which of these is the right fit for your pocket, and also your work.